This particular topic is my favorite as for some reason I’m super allergic to dogs and not cats. I’m sure lot of you have been in my position, where you come cross a cute dog and you decide whether to pet it and deal with the skin rashes and sniffles later or walk away and let that brief sadness fade. Well fear not! there is a better solution to it, as I decided to poke around and see what options are available when it comes to essential oils for pet allergies. The use of essential oils both topically and internally can relieve the symptoms of pet allergies. These solutions are all natural, and many can be used in combination with each other for a unique approach to relieve the symptoms of pet allergies. 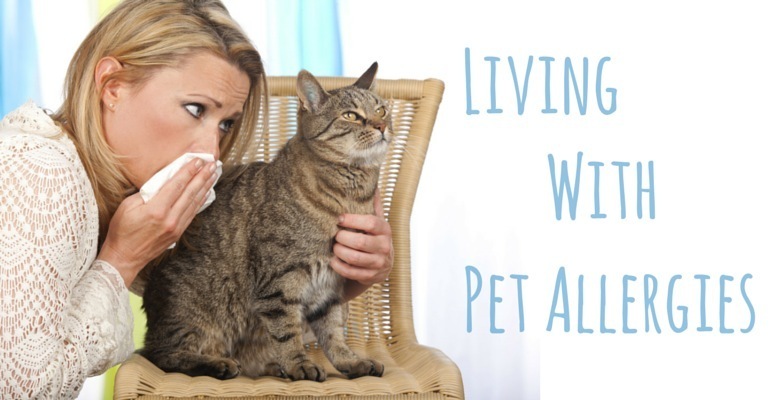 Having an allergy to your pet is an unfortunate situation, especially for those who enjoy spending time with their animals and having pets around the home. Either the pet is removed from the house, or the allergic person suffers the uncomfortable immune response produced by their own body. Using essential oils for pet allergies is a natural way to treat the condition, and can help allergic people to live with their pet in comfort and health as far as it’s well concerned. 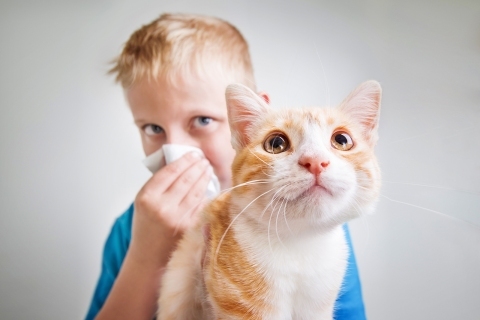 Pet allergies are similar to hay fever or at times, asthma. Those who have an allergy will experience a runny or blocked nose, frequent sneezing, eye irritation, and in extreme cases, may have difficulty breathing or produce a wheezing sound as they inhale and exhale. The cause of a pet allergy is the body’s reaction to dead skin cells, or dander, from pets such as dogs or cats. Most furry animals are capable of causing an allergic reaction, but the most common allergies are to cats and dogs. In an allergic reaction, the body mistakenly identifies the dander and fur of a dog or a cat as a threat to the immune system. This is similar to other allergies such as hay fever, which produce an immune response similar to a cold as the result of ingesting an irritating substance. 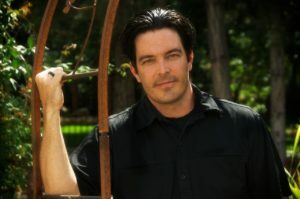 Though dogs and cats do not pose a threat to the body, in reality, the response which ensues is the same as if the body was fighting a real invader. The only true solution to the allergy is to remove the irritant from the house. However, pets are difficult to part with and many of us love our furry friends, despite the unpleasant reaction they cause. Treatment of the allergy, therefore, focuses on relieving the symptoms produced rather than eliminating the cause. Essential oils are a useful, natural tool in calming the body’s reaction to allergens and can making living with a cat or dog much more pleasant for those who are allergic. 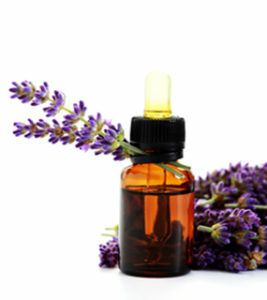 Lavender has many properties which make it ideal for treatment of pet allergies. It is anti-inflammatory, which means that any topical inflammation or inflammation of the breathing passages will be reduced and calmed. This can make breathing easier and decrease the skin sensitivity that can arise with allergies. Any irritation of the skin will also be calmed with topical application of lavender to the affected area. Antihistamine properties help to reduce the body’s entire reaction to the allergy and combat many of the main symptoms of pet allergies. This aspect of lavender essential oil makes it ideal essential oil for dog allergies or ideal essential oil for cat allergies. 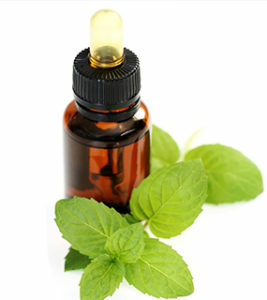 Peppermint produces a clearing, refreshing effect when inhaled. It can clear the sinuses and help with any blockage caused by the allergic reaction to dander. For those who struggle with breathing or experience wheezing as a result of their allergy, it is a useful tool to relieve this symptom and ensure that breathing passages remain clear. With antibacterial and antiviral properties also present, it will stop blocked sinuses from turning into an infection. The potential for infection is one of the main risks of a pet allergy, and peppermint essential oil helps to ensure that no further symptoms develop from the body’s response. There by an ideal essential oil for pet allergies that cause the sniffles. 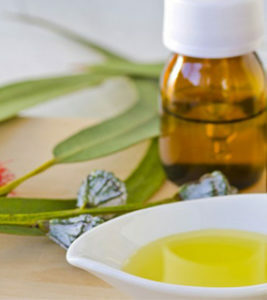 Eucalyptus is well known for its soothing properties, in particular for the sinuses and airways. The refreshing scent is clearing for mucus in the nose. It is also able to relieve breathing problems and wheezing that may come with allergies. The essential oil of eucalyptus can be inhaled with steam or applied topically to any places affected by pet allergies, whether your arms are breaking out in a rash or your nose is feeling runny or blocked. Eucalyptus is also an antiseptic and can be effective at removing remnants of dander around the house. This aspect of eucalyptus essential oil makes it ideal essential oil for dog allergies or ideal essential oil for cat allergies. Historically, this herb was used in battle for giving strength and focus to soldiers. Today, the cooling and soothing properties of chamomile are useful for alleviating allergy symptoms, whether applied topically or taken internally. Chamomile is known particularly due to its use in tea, but it has many other uses which benefit the user, including treatment of pet allergies. The anti-inflammatory effect of chamomile works both topically, for skin irritation, and internally, for opening the airways and reducing sinus blockage. 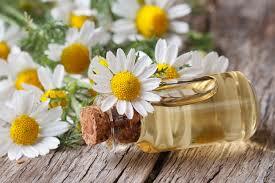 Any inflammation or irritation caused by allergies is easy to target with the application of chamomile essential oil. It is effective mainly for its holistic reduction of the effects of a pet allergy. 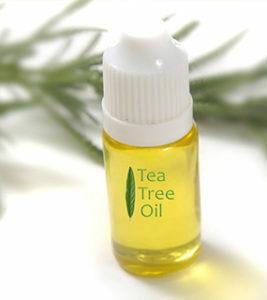 Tea tree is useful for a range of purposes and is both soothing and antibacterial. It should not be taken internally but can be very effective in terms of topical application. If you experience hives as the result of a pet allergy, tea tree will help to reduce the swelling as well as ensuring that the affected site does not become infected. Dander frequently lands on the skin and creates rashes for those with pet allergies, so using tea tree essential oil to assist and calm the irritated skin is highly effective. Lemon has numerous uses and is frequently used to treat colds. 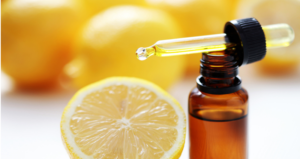 The essential oil of lemon is often used in combination with others when treating allergies, as it can make the oil have a more pleasant scent as well as enhancing the effects. It reduces the amount of mucus to clear a blocked nose, as well as stopping inflammation. Using lemon in treatments is pleasant and refreshing, adding a citrusy tang to other essential oil flavors. On a personal note this acts as a great sanitizing agent for cleaning cat urine. I make a solution of baking soda,vinegar and few drops of lemon essential oil, then use a spray bottle to spritz out the cat urine. Best essential oil for cat urine in my opinion.